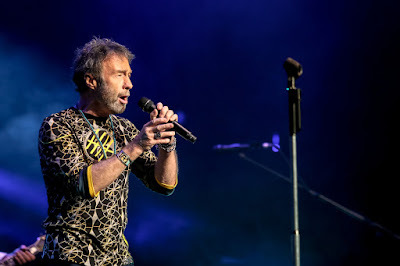 Paul Rodgers will release "Free Spirit - Celebrating The Music Of Free" on CD/DVD, Blu-ray, vinyl, and across digital platforms this spring. The project captures the legendary singer in a May 28, 2017 sold-out show at London’s Royal Albert Hall as part of his Free Spirit UK tour, which saw Rodgers performing songs strictly from the band’s catalogue as he celebrated the 50th anniversary of meeting guitarist Paul Kossoff prior to forming the group. The 16-song set includes performances of Free classics like "All Right Now", "Wishing Well", "Fire And Water" and many deep tracks – some of which were never performed live by the original band, such as "Love You So" and "Catch A Train." "I have been making music for a long, long, long time, so to get super charged and re-inspired to perform was a revelation", says Rodgers. "I loved the 'Free Spirit' tour and the guys who helped create the magic, Pete Bullick, Rich Newman, Ian Rowley and Gerard 'G' Louis. "I hope you feel it too, just lose yourself in the music and let it fuel your soul." The 2017 UK run made headlines last spring when Robert Plant and AC/DC singer Brian Johnson joined Rodgers in Oxford for a performance of a rock classic, marking a rare return to the concert stage for Johnson, who left AC/DC’s Rock Or Bust tour a year earlier on the advice of doctors due to hearing loss issues. Rodgers will be bringing the Free Spirit tour to the US this spring, as well as performing with his solo band and a few select dates with Bad Company in the coming months.